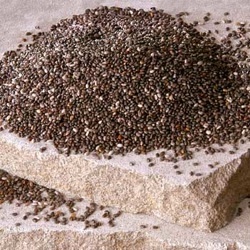 FLAX SEEDS: high in Omega-3 fatty acids, lignans and antioxidants, B vitamins, and fiber, minerals: folate, manganese, magnesium, copper, etc. I use whole flaxseeds because they can be stored up to a year whereas flaxseed meal can only last up to a week at room temperature because the unsaturated oils can go rancid easily. But I grind the flaxseeds before using them because that releases the goodies. Toasting flaxseeds is helpful too because it breaks down the small amounts of natural cyanide in them (also found in cashews and some beans). And according to US agencies and research, the recommended safe dose is anywhere from 2-6 tabespoons a day. Just don’t go overboard as both of these are high in fiber! If you’re a fan of the oil, just remember it does not contain the phytochemical antioxidants or the fiber. Incidentally, a great website for checking out nutrition data is http://www.nutritiondata.com. It covers everything and has useful tables and comparisons. So the winner? Undeclared. After researching both of these, I’d love to incorporate both; they serve different purposes and complement each other well. So my future smoothies will have both… It’s a win win for everyone. Also, feel free to check out our JUARA YouTube channel for more JUARA videos, where all the how-to’s on our products and other brand stuff is housed if you want to see it all in one place! With my baby daughter, I have to change diapers every couple of hours. Right before I apply some ointment to my baby’s bottom, I take some Aquaphor Healing Ointment out of the big tub and apply it to my lips. Voila – Luscious Lips! As a bottom-heavy person, I’ve always sacrificed my upper body strength training for doing lower body work outs. 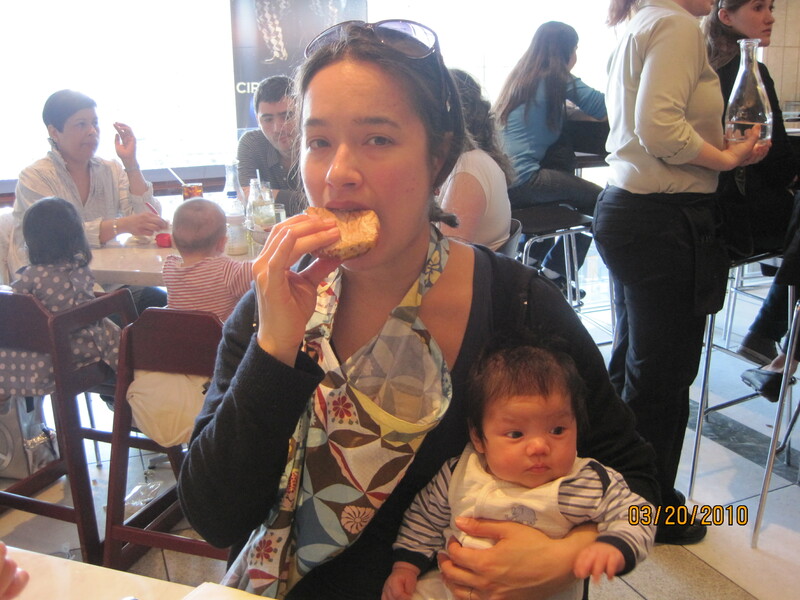 Now I have to lift a 12-pound baby so many times a day, my arms have naturally become more toned and strong. I don’t have to even have to motivate myself to do an arm work out. And the weight will naturally get heavier without my having to push myself! You can eat pretty much whatever you whenever you want in whatever quantities you want and you STILL lose weight! Need I say more? MARCH SPECIAL GIVEAWAY from JUARA! It takes less than 5 minutes to fill, and we will draw a random winner in 2 weeks. MARCH MONTHLY SPECIAL: SAVE 15%. Normally $81, this kit is specially-priced at $70 for this month only! Naturally balance and prep your model-soft skin at a great value! JUARA’s Rice Facial Cleanser & Scrub + Tamarind Tea Hydrating Toner work together to give you super smooth, and oh-so-touchable skin, while hydrating and preparing it for a day’s make-up or working with your body for a restoring night’s rest. JUARA’s best kept secret! 100% VEGETARIAN, PARABEN-FREE, SULFATE-FREE, NO ARTIFICIAL COLORS. – I save about $40 watching at least 4 movies each way that I missed in the theatres and think “Oh, I’ll catch that on the plane for free.” And then I do. Woohoo! – I practice a little yoga in the hallway to keep me limber, to the amusement of the stewardesses. Note: This always challenges my balancing poses. Especially when there’s turbulence. – I sashay radiantly out of the plane each time, since I take a Travel-Size of the Tamarind Tea Hydrating Toner to keep my dry, recycled-air exposed skin refreshed and faboo. And faboo is good. So – back to Indonesia. I go back home to Jakarta and Bali to see family, friends, and of course, live, breathe, and research for JUARA. After all, it’s the ancient Indonesian herbal tradition and beauty rituals I grew up with that inspired me to create the line. I wish I could take everyone who asks “What’s it like over there,” but that’s a little tough. Ok, I can do carry on luggage, so for all you JUARA fans 40lbs and under – you must be this small to ride this ride – jump on in, and we can watch the movies together. For the rest of you over 40lbs, I give you this video. Enjoy! That’s not really the question. Or is it? As in any business, you can’t avoid paper, but at JUARA HQ we always think twice before we print anything on recycled paper: emails, bills, orders, etc. When possible we print front and back or print on the back of paper that we no longer need. And we love recycling! Reduce, Reuse, Recycle. That’s our live-by mantra. We recycle as much as we can, try to use recycled when possible, or produce on paper from well-managed forests. We produce products that use as little “packaging” as possible. Our folding cartons and samples are printed on FSC or SFI certified paper – meaning it’s from well-managed forests. But in considering the pervasiveness of paper in life, and trying to be responsible about the use of paper, we find that the challenge is to always challenge ourselves. We’re constantly finding new ways to improve our use of paper: streamlining, changing processes, etc. And learning where paper comes from and where it goes is important too in making that decision. What does recycling really mean? Is it better to use paper from a well managed forest or a recycling plant? 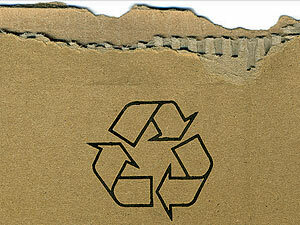 Does recycled paper use more energy to create? What are the standards of recycling, etc. Although this is a topic that a blog can barely cover, I did want to share a few facts. Did you know that paper recycling results in an energy savings of 40% (aluminum is 95%!) and an air pollution savings of 70%? Paper can only be recycled up to about 6 times, after which the fibers become too short to produce quality paper. (Metals and glass can be almost infinitely recycled). Much of the waste paper that is produced in recycling is actually shipped to India to be recycled, then shipped back… And there’s so much more to learn and understand…but it’s Friday night and my attention is waning. If you know more about paper and trees and considerations about their usage, please share! Check out MARCH’s monthly special here! We had a blast making the video – I think we had about 3 minutes of battery life on my camera, and Jill and I were totally late for a dinner engagement, but all we can say is after this shoot, we had reeeaalllyyyy clean skin… 🙂 Hope you enjoy! I really love the Rice Facial Scrub myself… Big time.